Several studies have been done on the effects of oxidative stress and antioxidants on male germ cells during aging; however, there are relatively few studies designed to understand whether/how oxidative stress is related to DNA damage in male germ cells in the testes. Under normal conditions, sperm maturing in the epididymis generate low levels of ROS, a process that is thought to be related to capacitation . One of the main sources of ROS is electron leakage from the mitochondria of spermatozoa , Although ROS are required for normal processes during spermatogenesis and fertilization, any imbalance between the generation of ROS and the antioxidant defense system, as occurs in aging, can compromise DNA integrity and thus fertilization potential . DNA damage has been linked routinely to aging in many somatic tissues, including the brain and the liver [97, 98]; the testis appears to be no exception. As discussed above, the DNA damage theory of aging is now widely accepted and states that an accumulation of DNA damage leads to the dysfunction of the cell and thereby aging. Once the DNA is damaged, a variety of responses can ensue, including cessation of transcription, cell cycle arrest, muta-genesis, and cell death . Any one of these responses could result in the disruption of spermatogenesis, mutation in the germ line, epigenetic modifications, and ultimately passing on an error in the genetic/epigenetic information to offspring. Spermatogenesis is a long and complex process that includes numerous cell divisions, DNA replication, chromatid exchange during homologous recombination, and extensive repackaging of chromatin during spermiogenesis [ 100]; therefore, there are numerous points at which DNA damage and mutations could arise. Many different types of damage can occur in male germ cells, including single- and double-strand breaks; however, one of the main types of damage seen in male germ cells in the aging male is caused by oxidative stress. 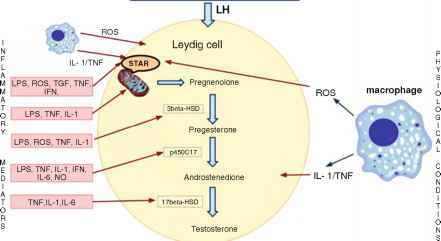 Oxidative stress is a common pathology seen in men with fertility problems [101, 102]. This type of stress can not only result in damage to proteins and lipids, but also cause DNA (including mtDNA) damage. DNA bases are particularly susceptible to oxidation mediated by ROS. Due to its low redox potential, guanine is highly susceptible to oxidative lesions. The most common DNA lesions resulting from oxidative stress are the oxidized base 8-oxoguanine (8-oxoG) and the oxidized nucleoside 8-oxo-deoxyguanosine (8-oxodG). The 8-oxoG lesion has the ability to mimic the base thymine (T) in the syn conformation and, accordingly, can pair with adenine (A), forming an 8-oxoG:A base pair that can allow escape from proof reading and bypass of DNA polymerases . Failure to remove 8-oxoG prior to replication can result in G- to T-transversion mutations . Animal studies have shown that such mutations can contribute to around 20% of the mutations found in young mice; however, this is increased to 40% in aged mice. Given that the mutation frequency is sevenfold higher in pachytene spermatocytes, tenfold higher in round spermatids, and sixfold higher in spermatozoa in aged mice, this translates to a rather large mutational load in male germ cells [64, 71]. In addition to nuclear DNA, the mtDNA can also be affected by oxidative stress. In fact, mtDNA is highly sensitive to oxidative stress because the mitochondrial genome is present in multiple copies and lacks histones and protamines or any DNA-associated proteins that would protect it from attack; hence, its structure is more open and easily accessible to ROS. Furthermore, the mtDNA is located near the electron transport chain where free radicals are continuously being leaked . Aging has been associated with an accumulation of damage to somatic mtDNA . In the case of the germ line, however, the passing on of mtDNA damage to the offspring may not be of great concern as it is the maternal mtDNA which is inherited and the paternal mtDNA is eliminated after fertilization [107, 108]. DNA base excision repair (BER) is likely to be one of the mechanisms involved in maintaining genomic stability in the male germ line as it is one of the main pathways responsible for repairing spontaneous base damage caused by oxidative stress. Several BER genes are highly expressed in the testis and more specifically in the germ cells . There are two BER pathways; the involvement of each one depends on the number of bases to be repaired. The short patch BER pathway is involved when only one base is excised by the glycosylase Ogg1 and Ape endonuclease followed with DNA synthesis by b-polymerase and ligation by DNA ligase III . In the long patch BER pathway, several nucleotides are repaired and the new bases are placed by the polymerase 8 and e enzymes in conjunction with proliferating cell nuclear antigen (PCNA); the gap is ultimately resected by DNA ligase I [ 110]. Mitochondrial oxidative DNA damage is also repaired by the BER pathway. If the damage is not repaired, however, this can result in mutations and ultimately may be passed on to the offspring. Spermatozoa are highly susceptible to oxidative DNA damage caused by ROS as they have limited levels of antioxidants under normal conditions and have many substrates for free radical attack, such as unsaturated fatty acids. It has been shown that ROS can cause DNA damage in the sperm nucleus and in their mitochondria and that these damaged sperm can retain their motility and fertilizing capability , This can result in the sperm carrying the oxidative DNA damage on to the next generation and cause severe abnormalities . For example, men who smoke exhibit higher DNA fragmentation indices and their offspring have an increased incidence of childhood cancer , further enforcing the importance of the impact of oxidative stress on the male germ line. Using techniques such as the sperm chromatin structure assay (SCSA®), chro-momycin A3 assay (CMA3), and Comet analysis, chromatin integrity in sperm has been found to be altered in aging males [52, 65, 114]. Additional studies on sperm chromosome 1 have illustrated increased (twofold) frequencies of segmental duplications and deletions as well as breaks in the 1q12 site of this chromosome with advancing age . Despite the number of studies investigating DNA damage in sperm from the aging male, there are relatively few studies on DNA damage in earlier germ cells such as spermatogonia, spermatocytes, and round spermatids. This may be due to the difficulty in isolating pure populations of these specific cell types from the testis. However, the studies that have been done suggest that there are alterations in the DNA of aging males as early as the spermatocyte stage, where a number of chromosomal aberrations have been detected . Spermatids from the aging male have an increase in aneuploidies [117, 118]. There is also an increase in micronuclei with age in hamster spermatids, indicating chromosome loss with age . A higher index of arrested germ cell divisions has been observed in testes from older men . This study showed the presence of abnormal cells with structural disorganization in the area of the seminiferous epithelium where spermatocytes would normally be located. The authors suggested a dysfunction in the Sertoli cell barrier; however, meiotic arrest could be due to accumulation of DNA damage. There is also an increased sensitivity of round spermatids and elongating spermatids to DNA damage in general (not only in association with aging) due to the alterations seen in transcription and translation in these cells as they undergo many morphological changes to become mature spermatozoa . This results in lowered transcription and/or translation ofDNA repair genes. A decrease in repair proteins, accompanied by an increase in ROS production in addition to decreased levels of ROS-scavengers and antioxidants, could be detrimental to these cells in the aging male (Fig. 7.1). The increase seen in DNA damage in many tissues with aging may not only be the result of increased oxidative stress, but also a lowered capacity to repair increased levels of oxidative stress-induced DNA damage. A study using aging mice demonstrated that there was a decline in the BER pathway with age and that this corresponded to declines in levels of b-polymerase activity at the RNA and protein levels . The BER pathway is reduced by more than 50% in nuclear extracts prepared from isolated mixed germ cells from aged (28-month) mice and repair using this pathway is limited at different steps in the old compared to the young; BER activity in the young animals is limited by uracil-DNA glycosylase (Ogg1), and in the old animals it is limited by AP endonuclease . This reduction in the BER pathway could account in part (in conjunction with the decreased antioxidants and increased ROS) to the increase in DNA damage observed in sperm from older men. On the other hand, a study using immunohistochemical labeling of germ cells with different markers of the BER pathway reported that many of the proteins showed higher expression in the germ cells of older males . It is worth mentioning, though, that it is extremely difficult to quantify protein expression using immunohistochem-istry. The efficiency of the BER pathway has also been shown to decline in mtDNA in other tissues such as the brain  and liver  in mice. There are a number of DNA repair pathways other than BER at play in the testis; however, very few studies have been undertaken regarding the role of these pathways in this tissue during aging. It is known that double-strand break repair is compromised in older males in tissues other than the testis [126, 127]. In the testis, however, one of the key components of this repair pathway, Ku80, is significantly decreased in older males; this conclusion was reached using homogenized testis samples, thus making it impossible to determine in which specific germ cell type this occurs . 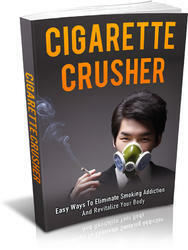 Stop Smoking: Dealing with Friends Who Smoke, Fertility problems: what treatments work?